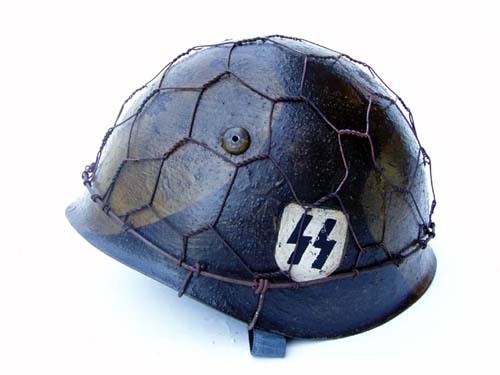 This Italian M33 has been restored to look as if it might have been worn by a member of the Italian SS at Anzio. Both insignias are hand rendered as most all originals were. 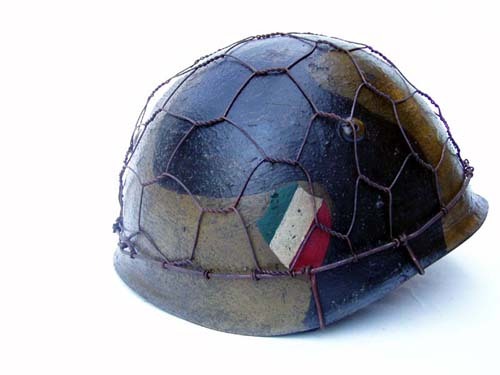 Original photos show the Italian SS used a wide variety of different camo patterns, nets and wire configurations.